Winter is just around the corner. The temperature outside is starting to drop around here and before long, we may be seeing snow on the ground. 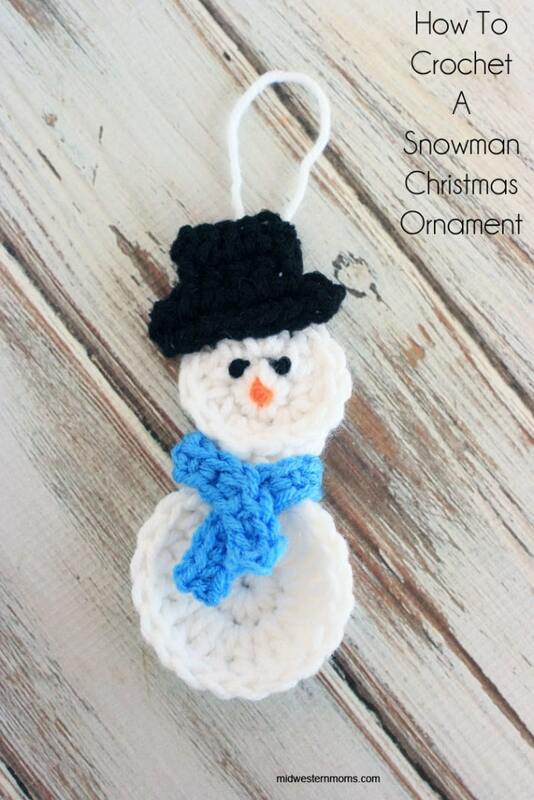 I decided to get in the mood by starting to make some Snowman Christmas Ornaments. 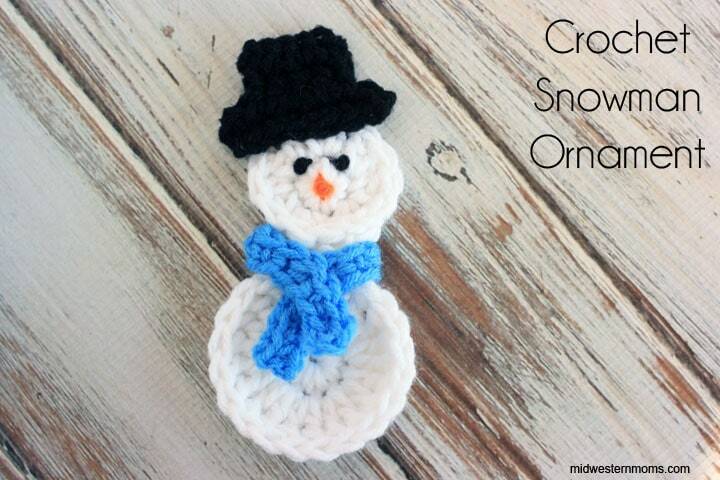 These little snowmen would also work for an applique as well. Just don’t add a hanging string and you can use it for something else. Step 1: Sew the head to the top of the body. 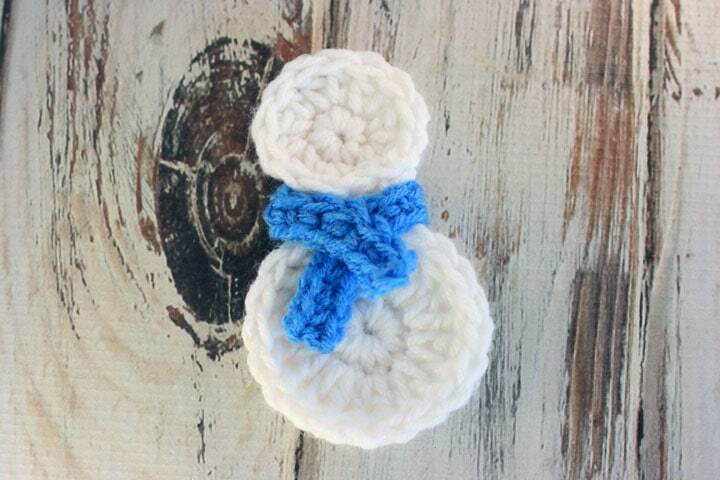 Step 2: Wrap the scarf around the neck of the snowman and sew in place. Step 3: Sew the hat onto the head of the snowman. Step 4: Sew knots for the eyes and nose of the snowman. Step 5: Attach a string to the back of the snowman. When making the body of the snowman, I used the magic ring to start it. It makes it easy to get the starting row in a tight ring. If you haven’t used this method, check out this tutorial on the magic ring. Clover Soft Touch Crochet Hooks My favorite hooks to use when crocheting. 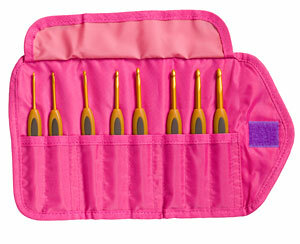 This crochet hook set comes with hook sizes C, D, E, F, G, H, I, and J. Buy Now We earn a commission if you click this link and make a purchase at no additional cost to you. Round 2: Chain 4. Crochet 2 Triple Crochet Stitches into each stitch around. Slip stitch to join. (20 stitches) Cut your yarn and weave in your ends. Round 2: Chain 3. Crochet 2 Double Crochet Stitches into each stitch around. Slip stitch to join. (14 stitches) Cut your yarn and weave in your ends. Row 1: Chain 7. Single Crochet into the second chain from the hook and into every chain after that. (6 stitches) Turn your work. Row 2: Sip stitch. Chain 1. Single Crochet into the next 4 stitches. (4 stitches) Turn your work. Row 3: Chain 1. Single Crochet across. (4 stitches) Turn your work. Row 4: Chain 1. Single Crochet across. (4 stitches) Cut your yarn and weave in the ends. Row 1: Chain 21. Single Crochet into the second chain from the hook. Continue to single crochet to the end. (20 stitches) cut your yarn and weave in your ends. 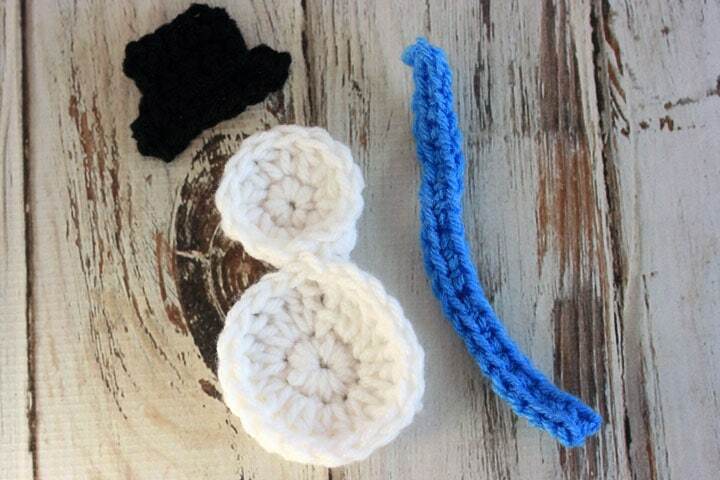 You could use small beads or buttons for the eyes and nose. 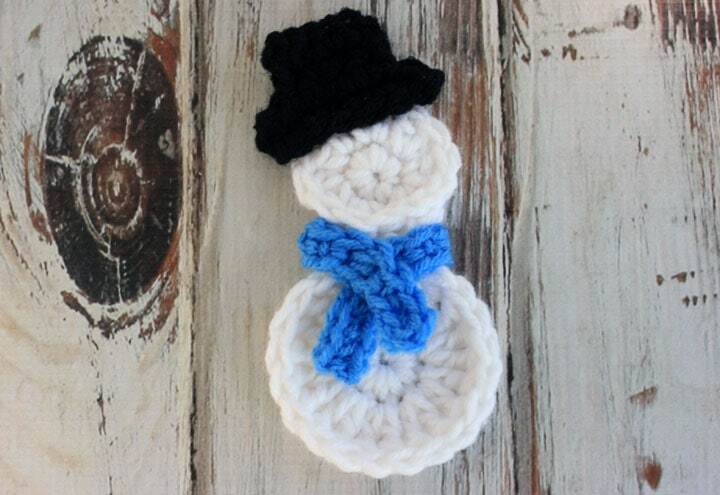 Change out the colors of the hat and/or scarves to customized your snowman. thanks for this tutorial! I want to try this as my first crochet experiement 😉 Wish me luck! so cute! I love this ornament. 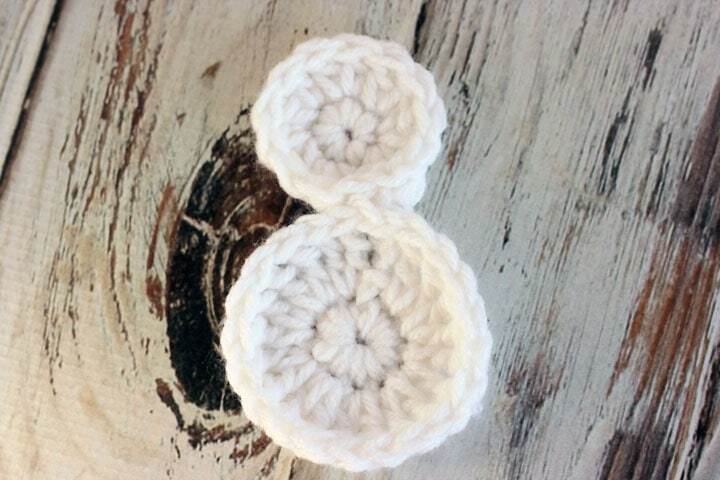 I haven’t crocheted in a while, but I think I could make these. Thanks for the tutorial. Ok so my goal is to figure out how to make it! If I can pI’ll it off I am going to show my daughter! Wish me luck will share with you if I can figure it out. Other wise will share with you my bookmark.